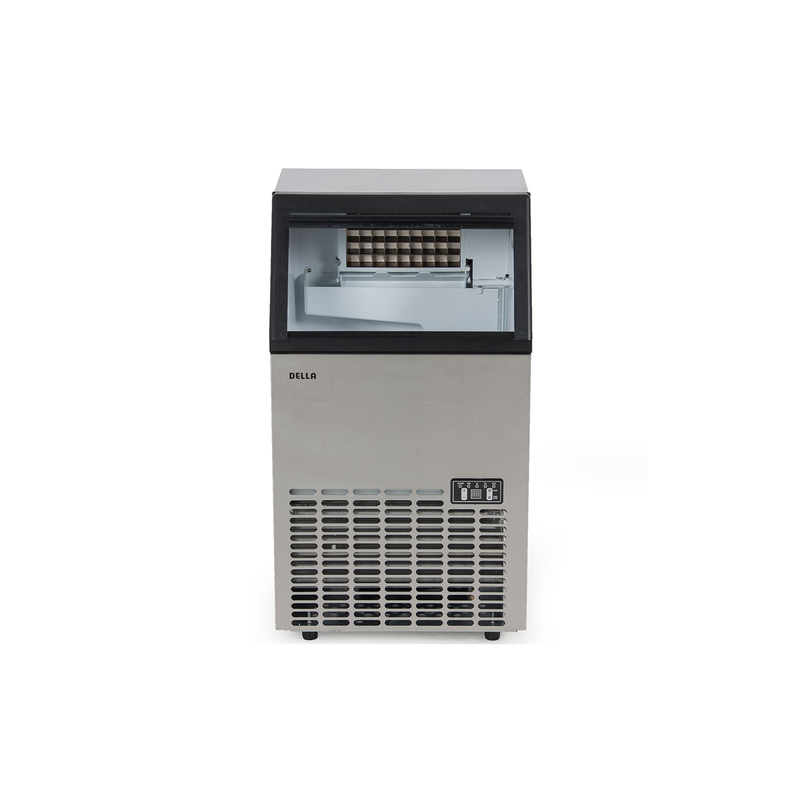 DELLA feature brand new Freestanding Ice Maker Machine. It able to produces up to 100 lb. of ice per day and includes a self-contained 35 lb. storage bin. Stainless steel construction provides durability to a unit that is low-maintenance and easy to clean. The unit produces crystal clear bullet shaped ice cubes that work great for applications in homes, restaurants, bars, hotels, grocery stores, and more. Suitable for freestanding, this unit will run on standard household electrical current and is NSF and UL approved for commercial use. 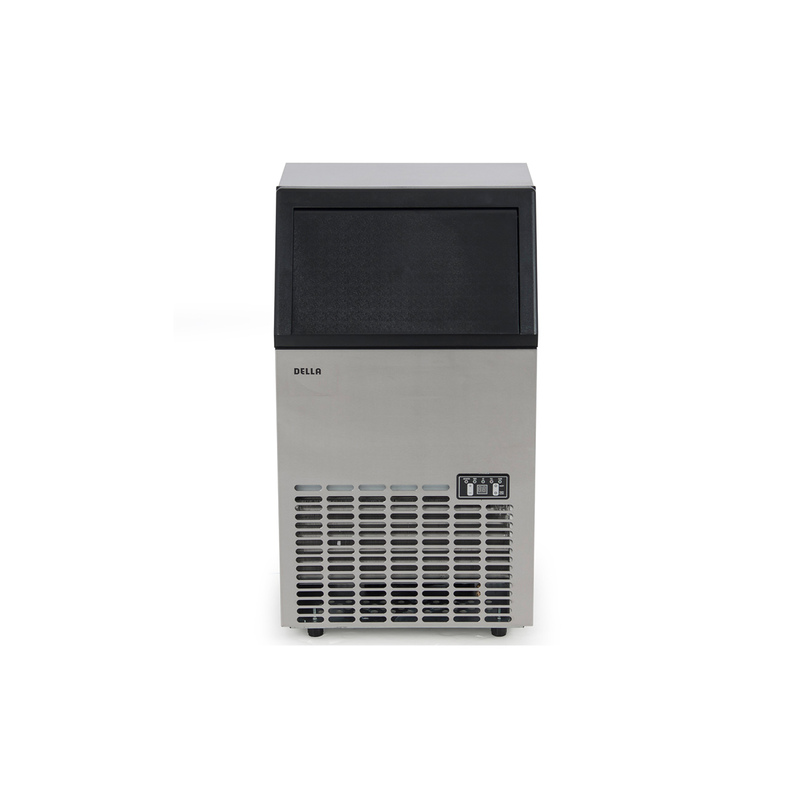 Features: Mid-Sized Machine- Ideal mid-sized ice maker for restaurants, wet bars and hotels Beautiful Finish & attractive stainless steel finish ice maker Able to make up to 100 lbs. in 24 hours of bullet ice cubes per day The integrated storage bin is well-insulated and is able to hold 35 lbs. 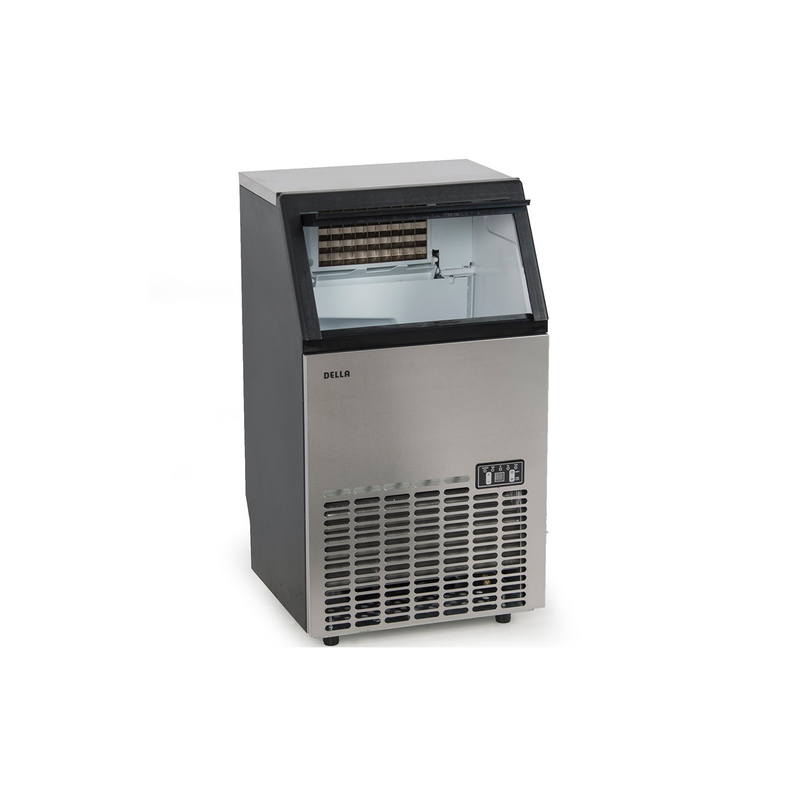 of ice at a time Have Ice Fast- You can create ready-to-serve ice in an average of 6 minutes Easy-to-Use Controls- Turn this ice maker on/off and timer, using this units easy-to-use control panel When the water level in the reservoir runs low, yours be alerted to add more water.